Many organizations struggle with a similar theme: while being successful with the business they conduct today, how should they get organized for doing things tomorrow? How, in a sea of operational excellence, can you manage something radical? 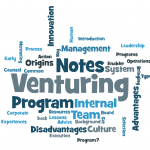 Large corporations have created venture programs to create opportunities for nursing small startup companies alongside large business units. 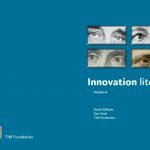 This document describes how this can be done, what the options are, in short it addresses the conscious choices that need to be made, most of them up-front. 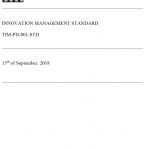 We hope you enjoy reading this, feel free to also have a look at our innovation management standard here.